Revisited Myth # 57: Venetian blinds were invented in Venice. (Or Marco Polo brought Venetian blinds to Venice from China). I was one of many docents who used to repeat this tale at Colonial Williamsburg in the 1970s. Mea culpa. Window blinds with slats existed in ancient Egypt and Pompeii long before the city of Venice was founded in AD 452. Those slats were fixed, however. 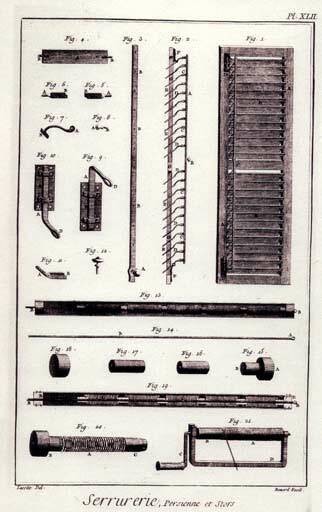 In 1757, a French craftsman advertised blinds with adjustable slats, probably not his own invention but definitely a new idea. Only the English called them Venetian blinds. In Italy, they were persiana; in France, jalousie a la persienne. This suggests that they originated in the East, perhaps in the Persian Empire or beyond, in China or India. They probably got the name Venetian Blinds courtesy of having come via Venice, a city that dominated trade with the East. And whenever anyone says “the Venice trade with the East,” they inevitably think of Marco Polo, an association that probably gave rise to the legend that Marco Polo brought them back from China. But on reflection, it appears highly unlikely. First of all, Marco Polo doesn’t mention blinds in his journals, and frankly, it seems like an inexplicably long delay between his travels in the late 1200s and the European debut of the blinds in the 1750s. This entry was posted on Monday, September 7th, 2015 at 4:17 pm and is filed under Architectural Features, Furniture and Furnishings. You can follow any responses to this entry through the RSS 2.0 feed. You can leave a response, or trackback from your own site. One Response to Revisited Myth # 57: Venetian blinds were invented in Venice. (Or Marco Polo brought Venetian blinds to Venice from China).